Bojan Radulovic scored both goals as Brighton & Hove Albion climbed to second in Division 1 with a 2-0 victory over Tottenham Hotspur. The opening goal came in the 20th minute at the American Express Elite Football Performance Centre when Radulovic pounced on a loose ball following a goalmouth scramble. 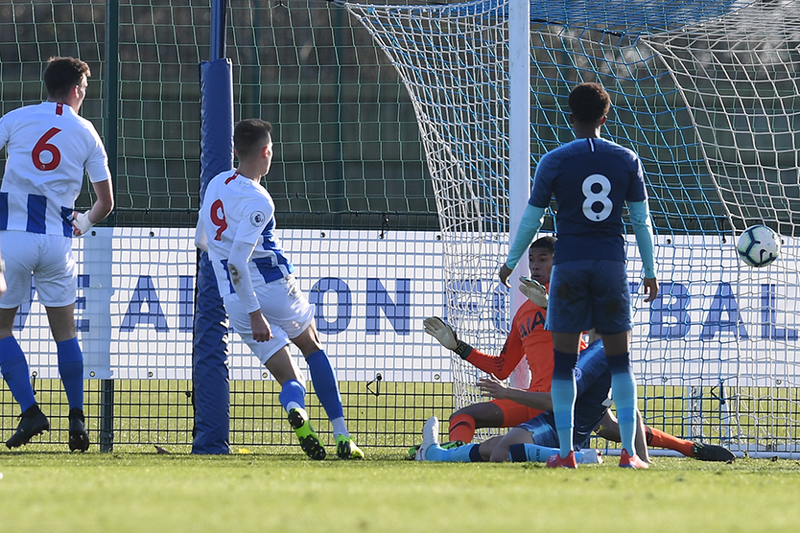 The striker doubled his tally from a Brighton counter-attack in the 61st minute as Peter Gwargis and Danny Cashman combined to find Radulovic who slotted home. Their seventh victory of the campaign lifts Simon Rusk’s side to within a point of leaders Everton. Spurs lie ninth on 18 points.